After finishing up my shooting from last night at the Rockefeller observation deck, I grabbed a few photos on my way out, all hand held at a higher ISO. Somehow these images did not transfer when I copied everything to my RAW drive. I had already formatted the SD card before I realized this so today I had to do a rescue on the card to retrieve the images. The program I use for this was originally made and marketed by Sandisk. Sandisk gave it up and someone else picked it up and continues to market it, but with a price gouging "annual subscription" formula. The program is really good, but there must be others out there for less and without the subscription. If any of you know of an image rescue program you like, let me know. I can do a test on some of them and a blog post on the results. Could be beneficial to all of us. 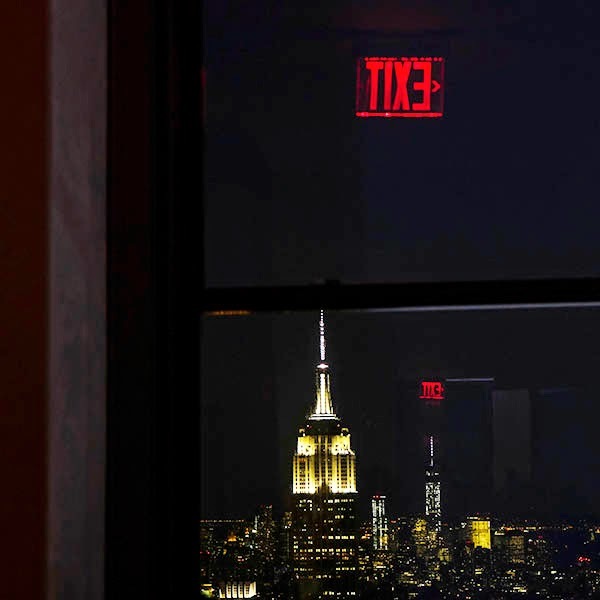 This photo was taken through a window on the way to the elevator leaving the observation deck. 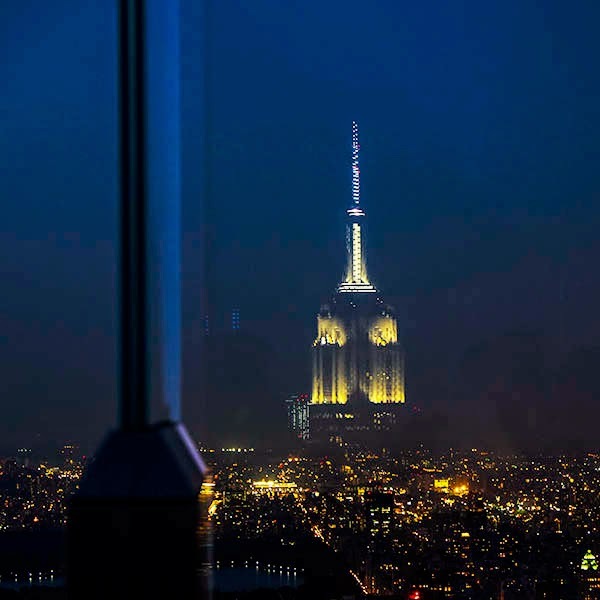 This ghostly appearance of the Empire State Building hovering over the city is a reflection of the building in a window on top of the observation deck superimposed over an actual image of the city lights. Tonight an electrical thunderstorm passed through the city and I set up the X-T1 on a tripod for some 30 second time exposures in an attempt to capture a lightning flash. 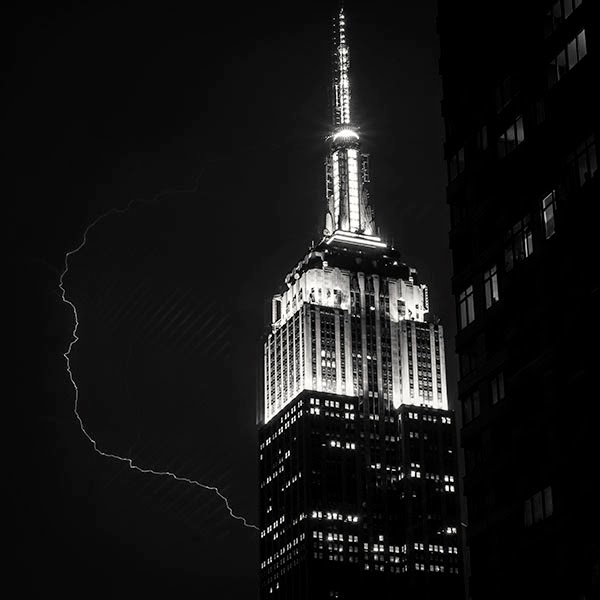 There weren't too many actual lightning bolts, but I did manage to catch this one behind the Empire State Building. Free recuva software does the same with good results.